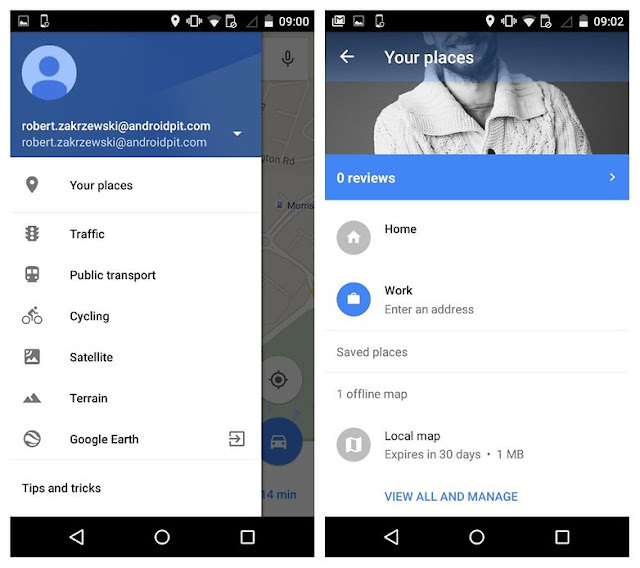 Open Google Maps (online) and search for your desired location. You will be asked if you want to save this map. Pan or zoom the view so that it displays all of the information you require. Unlike a mere screenshot, the offline maps can be zoomed into and display information such as street and building names as you get closer. Once you have saved the map to your device, to access it, tap the ‘hamburger’ menu icon at the top left of Maps app, then ‘Your places’. Scroll to the bottom of the new screen, then you should see all your saved maps under ‘Saved places’. Just tap the map you want to to view offline. A downloaded map doesn’t require a huge amount of space. New York, for example, took up only 13 MB when completely downloaded. However, if you’re wary of your data allowance, you might want to be connected to Wi-Fi before downloading all the maps you want. 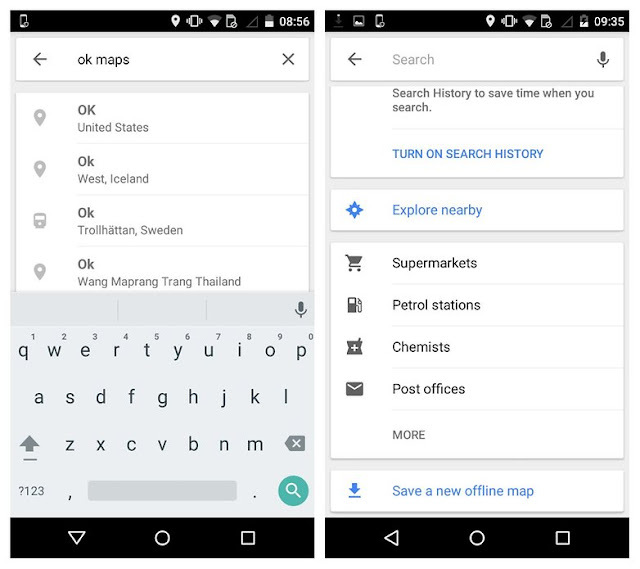 There are some limitations to the functionality of the offline maps, mostly regarding the size of the location you’re looking for. For example, New York and surrounding areas would be a bit too much for just one cached file and you will receive a message saying it can’t be saved. In this scenario, it would need to be broken into smaller, surrounding areas. 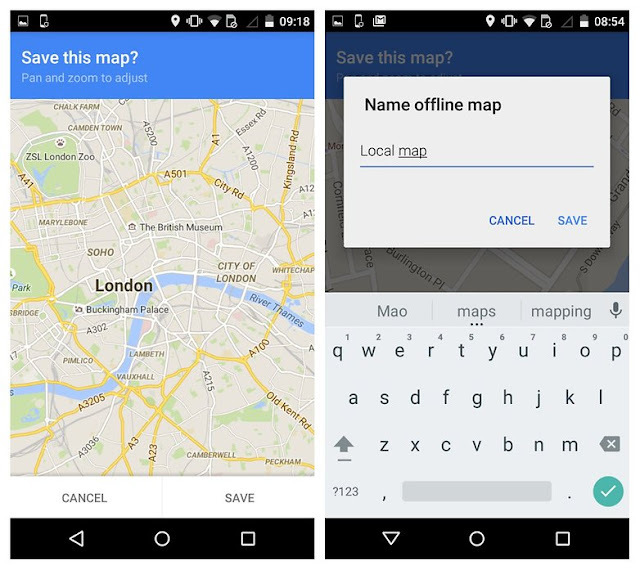 Also, offline navigation is not available, nor is the ability to conduct a search within the offline map file. 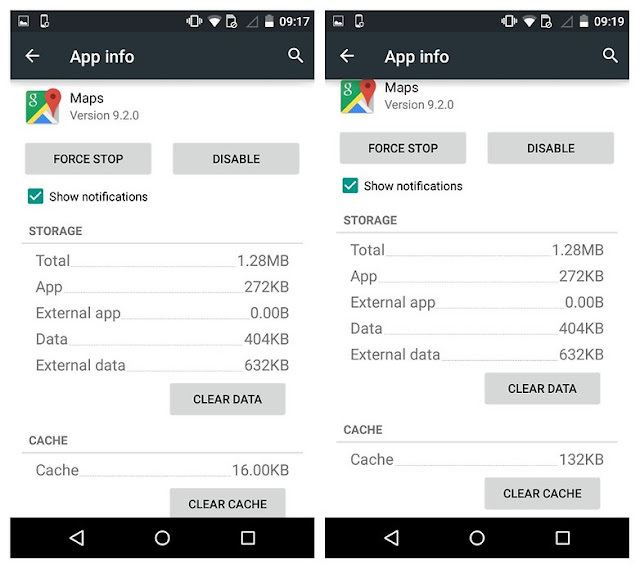 The maps you download will be stored for 30 days and after this they are automatically deleted, so don’t assume they will last forever.